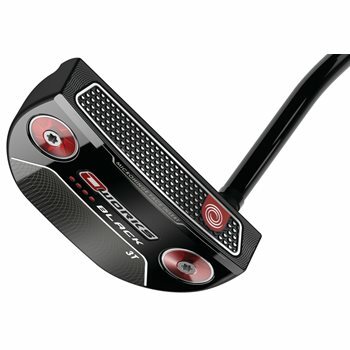 The Odyssey O-Works putters feature Odyssey''s revolutionary Microhinge insert technology that co-molds a stainless steel Microhinge plate into the Thermoplastic Elastomer Feel Layer to provide great feel and allowing the hinges to lift the ball into a better roll at impact. The O-Works Black #3T putter is a mid-mallet inspired by the Tour with a single-bend shaft and a black finish. The all-black finish has been a popular choice on Tour for years and gives the putter a clean, simple look at address. Microhinge insert technology co-molds a stainless steel Microhinge plate into the Thermoplastic Elastomer Feel Layer to provide great feel; allows the hinges to lift the ball into a better roll at impact.